The perfect way to enjoy a birthday celebration – with chocolate! 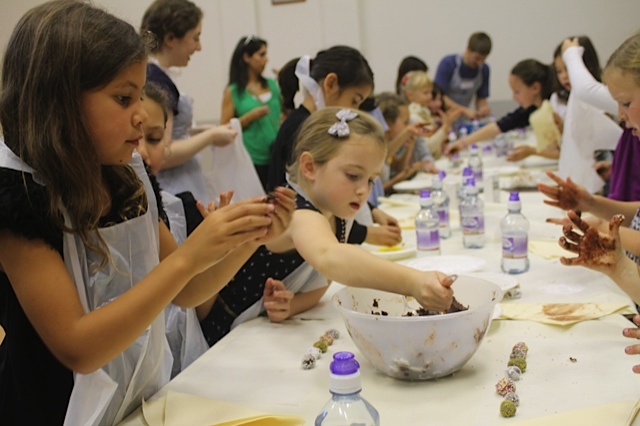 We get messy tasting, dipping and decorating our way through lots of lovely chocolate. Package everything up ready to take home! 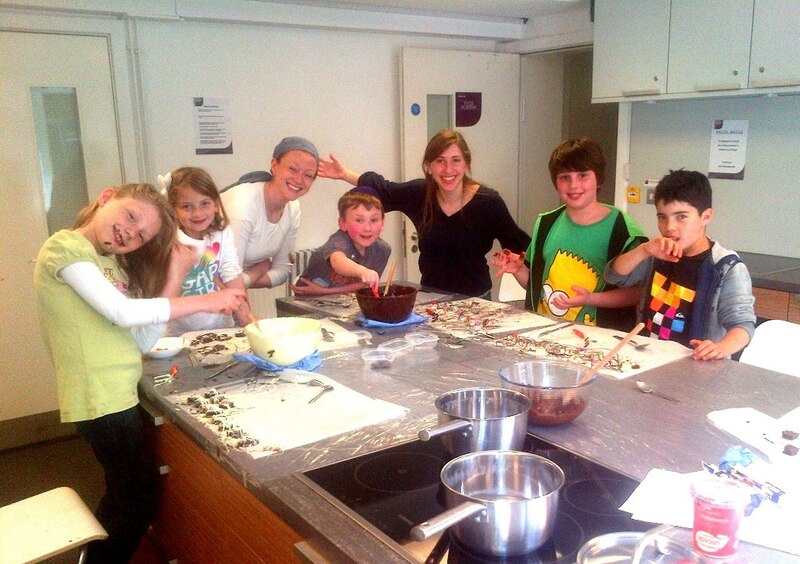 Parties last 1 to 1.5 hours, and can be adapted to suit your specific needs. £225 for up to 8 children, additional children £22 per head. We are happy to travel within London for your party and we can recommend venues to hire in NW London and Central London. We have relevant food hygiene certificates, insurance and are DBS checked (previously CRB). Special rates available for schools workshops. Thanks so much for all your hard work this afternoon. Abbie had a wonderful party – her best yet she told me when she went to bed, and I’ve already had messages from some of her friends’ parents saying that not only did their kids have a ball, but that the chocolates they made were AMAZING. Thanks again!